Casanova Venetian Glass & Art is a go to spot for art lovers! 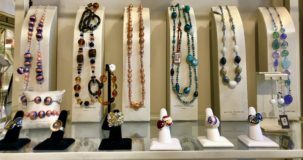 The boutique showcases the talents of Italian artisans with extensive collections of Venetian artwork and Murano Glass. The Murano Glass sculptures, vases, mirrors, chandeliers, stemware, and more create that “WOW” factor and can truly complete any room in the home or office. The offerings are endless when it comes to Murano Glass! 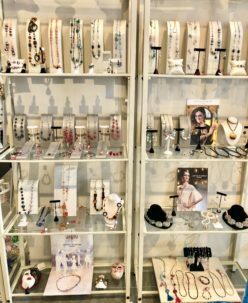 Not only does Casanova carry pieces to complete any space, but they also have one-of-a-kind Murano Glass jewelry to compliment your wardrobe. Casanova’s newest brand, Antica Murrina, brings Murano Glass jewelry to a whole new level. Antica Murrina is the most well known maker of Murano Glass jewelry in the world with each piece hand formed by the Artisans of Venice. 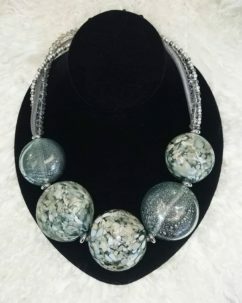 Casanova Venetian Glass & Art carries a number of Antica Murrina collections including AMV, Perleadi, Luxury, and additional limited edition collections. The collections uphold the company’s values of uniqueness and authenticity with a fashionable and sustainable edge. 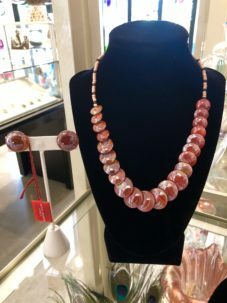 The jewelry is composed of handmade beads created from glass masters who use traditional Venetian techniques and the glass canes from the Island of Murano. The small bubbles, glass inclusions, and variability of colors attribute to the uniqueness of the brand. No two pieces are the same! 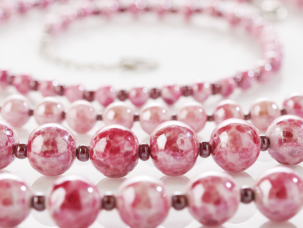 Sustainability coincides with uniqueness to form the company’s trademark and overall enhances the value of the jewelry. The glass in each piece is eco-friendly and 100% recyclable. 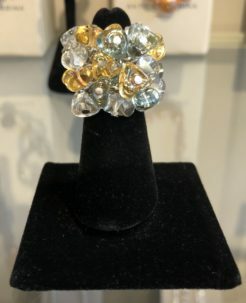 Stop in and shop the many beautiful Antica Murrina Collections at Casanova Venetian Glass & Art located on the north side of The Village Shops in suite 706. For more information, call the gallery at 239-571-1610.